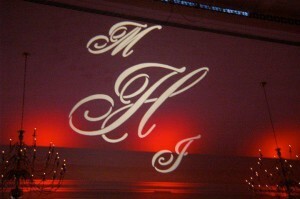 Looking to add that extra touch to your wedding? I now offer specialized monograms to display a custom logo of both the Groom and Bride’s initial’s on any flat surface and/or on the video displays! (Must have the Video option as a package). 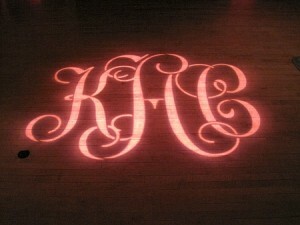 How neat would it be to customize a wall or the dance floor with your custom logo? Imagine after your ceremony, guest are ready to arrive to the reception area and see nothing but the Dj with his equipment all set up and nothing is happening. No lights, No crazy strobe effects, Just music. After all it’s still daylight………………. From my experience the walls/floors on many popular venues I’ve Dj’d at have all been plain with no extra dazzle until the DJ starts playing and the dance floor lights up with people. 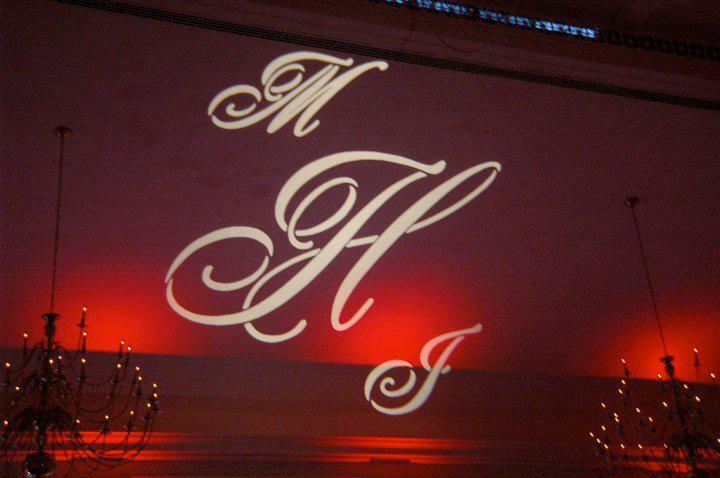 Now imagine this, guest arrive to the reception and see your customized monogram on the video displays and projecting against a wall or floor. 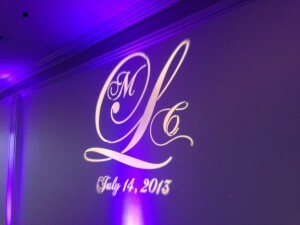 Possibly having a slideshow of your wedding pictures play behind the logo. Guest will be amazed as it adds that personal touch to the venue because after all, it’s your wedding, not just another wedding to the venue. It adds entertainment and the awe factor to having it customized vs. just being plain. 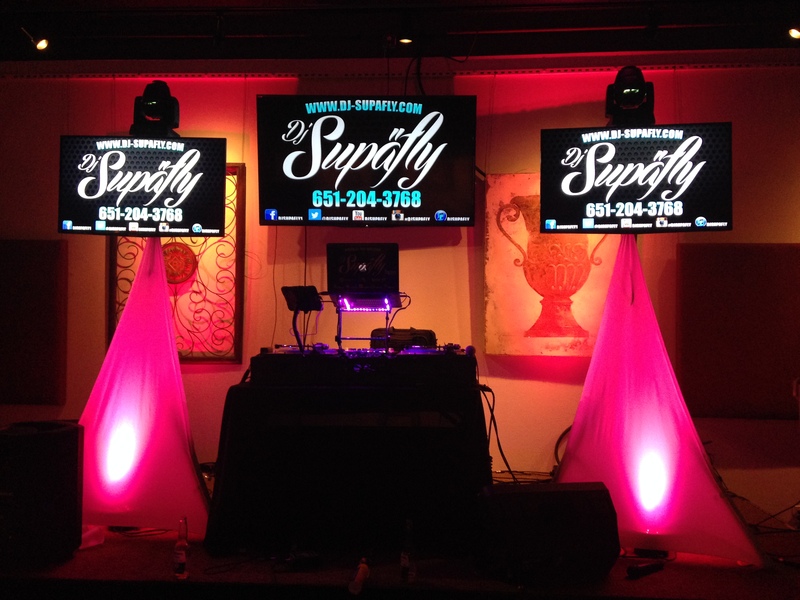 So remember, there are regular DJ’s with regular services………………..but there’s none as fly as DJ Supafly. Looking for wedding ideas from different Local vendors / DJs from Rochester, Minnesota? Stop on by for the Yearly Wedding Extravaganza show at the Mayo Civic Center Saturday January 3rd from 9-3pm. 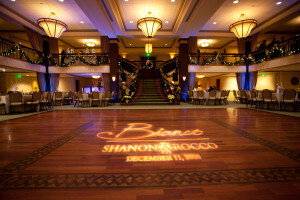 I will be in booth #15 showcasing my medium DJ Setup which I recommend for weddings. There will be a whole lot of other vendors in the house. This will be my first tradeshow for my DJ business and hope to get a lot out of it. I just hope I have enough space for my equipment! It’s only a 8×10 booth and a small table. If you have friends looking for wedding ideas, share this info with them! 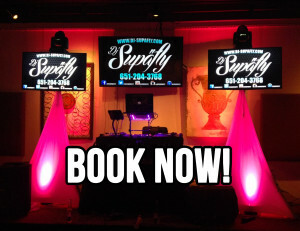 Book DJ Supafly for your Event. 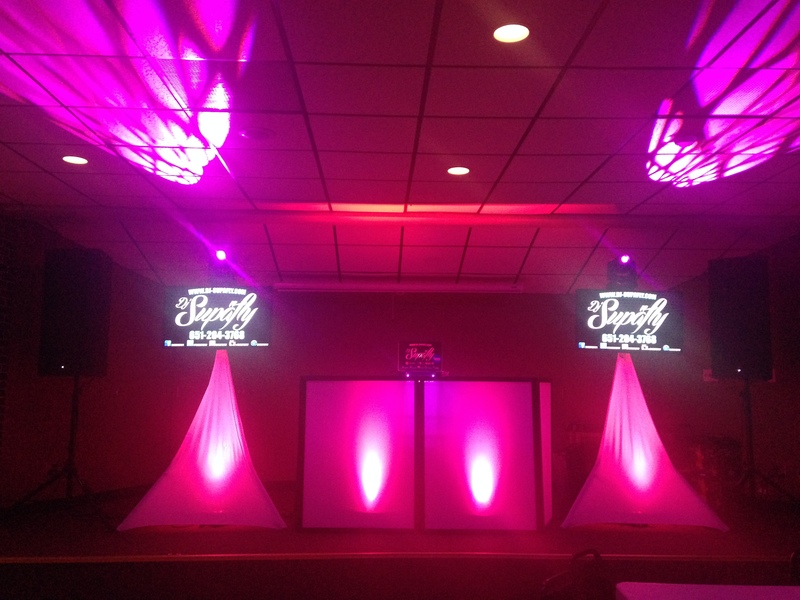 Looking for a DJ for your specific event in Rochester, Minnesota or Around the Area? Don’t want to have the remorse of wishing you should have hired a better DJ after your event is over? 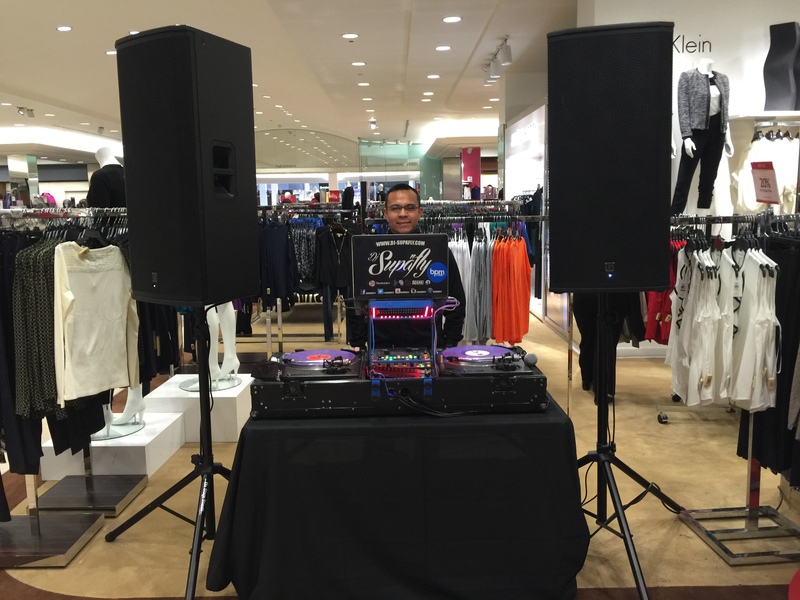 I, DJ Supafly, have experience in all types of fields and music. 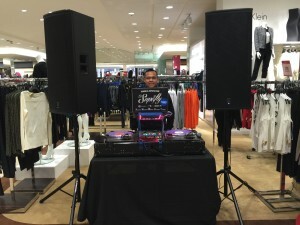 Don’t just accept the fact that a DJ is a good “Disc Jockey” for your event. Look for the DJ that is GREAT and will make your night unforgettable. Most Dj’s in Rochester, Minnesota are not professional and do not MIX MUSIC! Let alone mix music videos or display pictures of your event live and on the go with the provided projector screens and TV’s! Yeah some of them provide extra services like decorations and planning but come on! A real DJ sticks to music and his only job is making people dance. 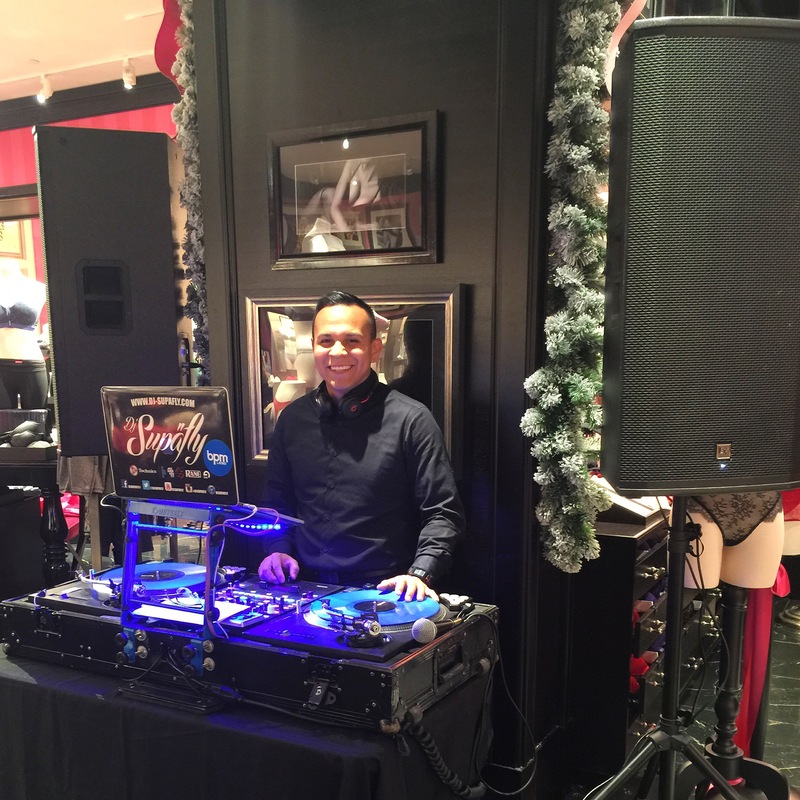 My experience includes working with Corporate Companies like Victoria’s Secret, Macy’s, Mall of America, Express and many more! I’m also involved in the community with city events and do many English/Spanish parties at the Civic Center, International Event Center and surrounding small towns. I have 9+ years mixing music…………mixing music!………….that means blending songs in harmony to keep your guests dancing/singing for long periods of time! Did I mention I have all my lights synchronized to the music! Not only are you getting a Live DJ, who takes requests on the fly, but you’ll also be getting an amazing light show with lights that are DMX’d (programmed) to show a specific color or even be used as spot lights. I’ve invested most of my earnings to get the best equipment. Whether it be Crystal Clear Sounding Speakers, Moving Heads that are super bright and put on a good show, Video Equipment like TV’s & Projectors to display videos, pictures and even live social media hashtags so everyone at your event can hashtag their pictures and show them live on the screens! I do my best to put on a good show. You’re not hiring just a good DJ, you’re hiring a DJ with experience to read crowds and blend music all night long. Contact me for more details on quotes/estimates or you can Book me online using the app calendar. Here’s a few pictures of the DJ Setups just to give you an idea. 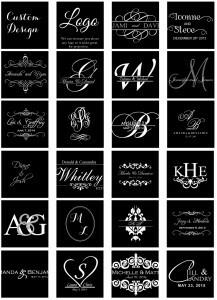 You can find my prices on the Book Now link or Contact me. Remember, A Dj with experience includes one that has DJ’d Weddings, College Parties, Birthday Parties, Fairs, Festivals, Fundraisers, Graduation Parties, Night Club/ Bar, Prom, Baptism, Quinceñera, Sweet 16, Corporate, and many more! I am your best bet for entertainment! Thank you and Good Luck with your research to finding a Great DJ!